The University of Missouri has built up a nationally recognized online program, Mizzou Online, out of a 20-year grassroots process of online distance education development. Mizzou Online itself was formed in 2011 through the merger of the Center for Distance and Independent Study (CDIS) and MU Direct: Continuing and Distance Education. Prior to 2011, oversight of online courses was coordinated through MU Extension; MU Extension and Mizzou Online are now separate service units, with oversight from the Vice Provost for Extension and the Vice Provost for Undergraduate Studies and E-Learning, respectively. MU Extension provides non-credit face-to-face or self-paced online instruction for communities external to the university. 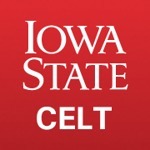 Their programming currently emphasizes public health, agriculture, business development, and continuing education for working professionals in nursing and other fields. Mizzou Online enrolls degree or certificate-seeking students who are either taking some or all of their credit-bearing courses online. 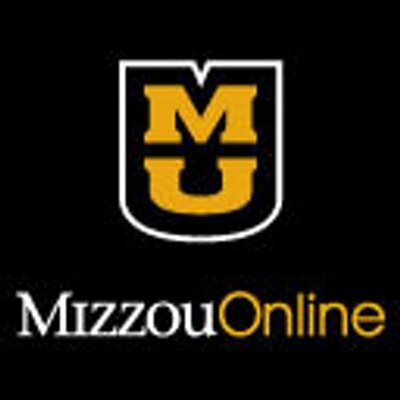 Mizzou Online offers 900+ for-credit online or hybrid courses each year, and offers 8 undergraduate degrees, 41 master’s degrees, 10 doctoral degrees, 23 graduate and 3 other certificates. See the Mizzou Online Enrollment Report for 2014 [PDF] for further details. Internal publicity and financial investment in Mizzou Online has helped it become a substantive wing of the institution and has increased interest in instructional technology across the University. The University has incorporated online and distance education into its strategic mission. 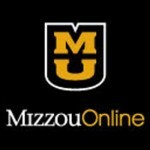 Mizzou Online has the dedicated resources to create new, high-quality online courses, certificates, and degrees that take both the interests of academic departments and concerns about probable audience into account. There is a University-wide common vocabulary and established definition of distance education. Cooperative umbrella framework (TLC@Mizzou) unites campus teaching and learning units in common cause. 12 academic technology liaisons are embedded within major academic units. Numerous awards from professional organizations in the last five years. MU Extension’s non-credit courses are delivered via their own LMS (Moodle) as opposed to the Blackboard installation that serves the rest of the University. 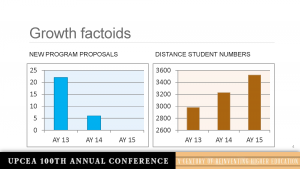 Term-by-term designation of distance student population, versus campus students who might take an individual online course at regular tuition, complicates the tuition model and burdens registration staff. 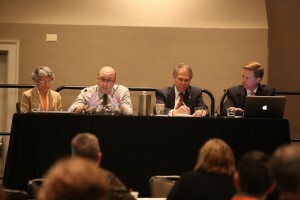 On May 12, 2015, UO staff (Kassia Dellabough, Kirstin Hierholzer, Lindsey Freer, Greg Milton) conducted a conference call with Kim Siegenthaler, Director of Mizzou Online, and Stacy Snow, Director of Program and Project Operation, to explore in greater detail the dynamics of change and development in technology-enhanced programming at the University of Missouri. Three questions were used to frame the discussion, which then developed along lines of interest for the participants. Began 20 years ago with a “bright idea” (combination of interest, information, and eventually advocacy) on the part of Kim Siegenthaler’s predecessor. Said predecessor was a 1-person visionary-type who facilitated organic growth over a 15-year period, before units consolidated to become Mizzou Online (merging Distance Education, Online, and Extension units 5 years ago). There is a Provost’s mandate from 16 years ago that all DE online offerings must operate through Mizzou Online (and its predecessor). Online development has a continuing mandate from campus leadership and is incorporated into the university’s strategic mission. New net revenue has been the primary incentive for governing board and upper administration interest in developing Mizzou Online. Continued growth is due in part to financial stability and an ability to offer remuneration to colleges and academic departments. The revenue from DE that goes back to academic units quickly becomes core budget funding that departments are loathe to lose. Mizzou Online is able to offer financial resources other units cannot, and the new net revenue from distance education students is a big draw. There is also a habit of “making it Extension’s problem,” that is, of shifting thorny questions over to the entrepreneurial/external-facing unit. 1 FTE has been established within Mizzou Online for State Authorization negotiation and compliance. A designated task force, made up primarily of faculty, met for over a year; its final recommendation was “a course is a course is a course”—that is, that there is no distinguishable intellectual difference between online, F2F, and hybrid delivery models. 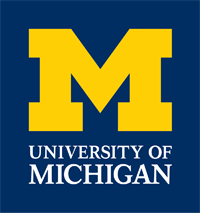 That conversation has helped across the board with both faculty and administration, particularly because a common language emerged from that report and has guided campus discussion. 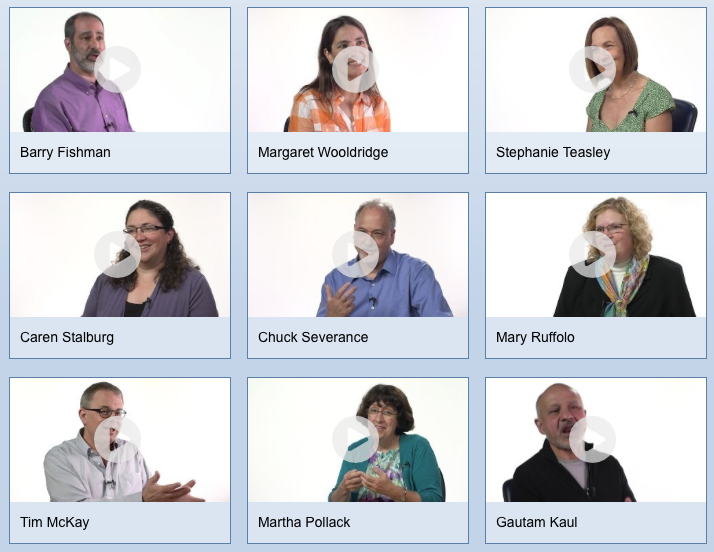 In addition to ET@MO (the university’s educational technology support unit) and Mizzou Online staff, there are 12 academic technology liaisons embedded in academic units across campus, providing a combination of instructional technology and instructional design support and working with faculty at all levels (from tech-enhanced F2F course delivery to fully online course delivery). That said, there is currently no requirement for faculty training (in contrast to OSU eCampus). Furthermore, whether faculty teaching online are full-time professors or contingent instructors varies widely from program to program. The teaching labor pool for online is the same as that for other course types, dependent on the decisions of the academic units. Finally, Mizzou Online does not have direct control over course quality. They are currently deploying incentives to encourage faculty training and faculty participation in quality assurance for online design. The general approach to program growth at Mizzou Online has been driven by academic units and their interests. While at first growth this was determined by whoever they could “get to the table” and what they thought they could sell, Mizzou Online now conducts market research (they use EAB for market research, and contract externally as necessary. Messaging about particular DE programs gets industry-specific and focuses on likely career paths from the get-go. Some secondary market research is done in-house by Mizzou Online) in light of each academic unit’s capacity for online, and then initiates a low-pressure conversation where the pitch is already backed up by that research data. They intend to “let units decide from here on out.” Their current RFP process has improved honesty and transparency, see below. Campus academic units can, and do, develop their own online courses when aimed at campus student population only. Mizzou Online’s current revenue share model is 25% back to their unit, 15% to the Provost, and 60% to either the dean or the department, depending on how each MOU was originally negotiated. Mizzou Online collects the net revenue itself before sharing with the university. Most agreements are articulated via MOU, generally with the academic unit offering the curriculum; deans were more involved in the past, but there’s a hesitancy to disrupt established funding models. Mizzou will take care of faculty contracts if the department does not; this workload varies from program to program. Students designated DE students (and charged accordingly) are those enrolled in a specific online program. Simply taking an online course does not place a student in that category. There are distinct fee structures for DE and Campus-based students. As a service unit Mizzou Online is not in control of courses and programs, and is without the authority to require design or enforce quality assurance standards. Mizzou Online had to convince campus players to participate in a robust, quality manner. In 2013, online programs became part of the campus strategic plan for first time – without direct input from the online unit, actually – but this allowed Mizzou Online to use existing resources (particularly revenue from previously created courses and programs) strategically towards campus partnerships. A 2015 conference presentation from Mizzou Online staff, “Growth Strategies: Strategic Reinvestment in Infrastructure” [PDF], showcases the development of this model. First step for expanding online programming was to create an RFP for new program development, with awards up to $250,000 provided to departments, provided through deans. The first year (AY 2013) the applications required market research analysis prior to submission, coordinated through Mizzou Online market researcher. There were 22 applicants, and 14 were funded to some degree. In the second year (AY 2014), the prior-market research requirement was loosened, with 6 total applicants and 4 funded. In the current year (AY 2015) there were no applicants, which Mizzou Online believes indicates their online programming has expanded sufficiently in the number of degrees and certificate offered. The online unit cannot not require design/quality assurance standard, so they developed these by use of incentives ($1000 grants) provided directly to participating faculty, who were then required to utilize instructional designers/course developers. In place of increasing program, the current need is for an expansion in student population, while maintaining quality outcomes. To expand student population, Mizzou Online created programs for targeted tuition reduction and for specialized recruitment, particularly for identified groups with potential growth (Armed Forces and Community College student). Mizzou Online created tuition reduction choices: 1) a tuition award of 10% of course fee to encourage students to sign up and take an online course, provided as money from online unit to registrar which is the credited to the student’s account; 2) take 3 online courses, get 1 free, again with money paid by online unit to registrar which becomes a credit in the student’s account. Both options utilize revenue available to online unit to increase number of students taking courses by reducing price for a course without reducing revenue to registrar/academic units. Mizzou Online also hired a dedicated recruiter, initially for the military student audience, to help manage the entire recruitment process, including the hand over to school/college faculty for one to one advising. Faculty may remain traditional towards recruiting students (with an attitude that students will just come if interested), but recruiter keeps contact going, in an active and continuing fashion. In order to build out student population, online programs must continue to provide data to departments and administration, and to explain the data and be persistent. Mizzou Online created regular annual reporting and turned it into an infographic report [PDF] for greatest effect. The relationship between culture and strategy at most institutions, including MU. Two biggest barriers to development identified by Mizzou Online: Funding (startup funding and revenue distribution) and Power (who controls decisions and how to influence decision makers). Mizzou Online’s solution is to utilize and enhance institutional support AND to make strategic investment (money is an effective influencer). Consistency and persistence are required: university units going “cowboy” (i.e. creating programs on their own, without consultation or collaboration) create real challenges to building stable, quality programs. Finding success requires addressing institutional culture effectively. 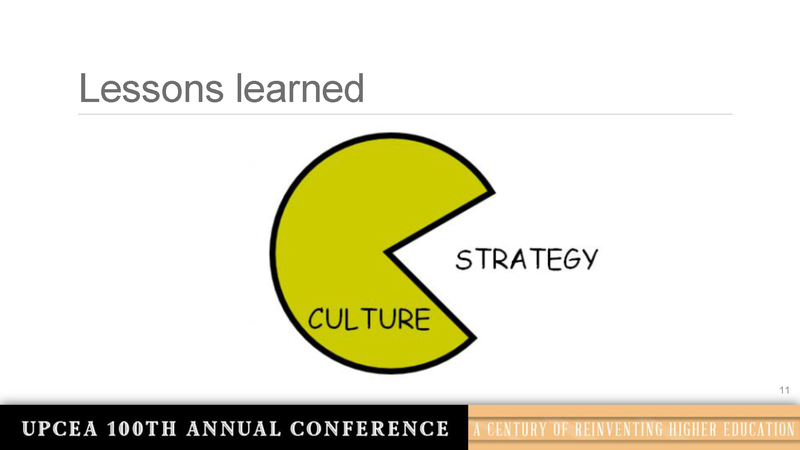 Culture will eat strategy for breakfast, lunch and dinner. 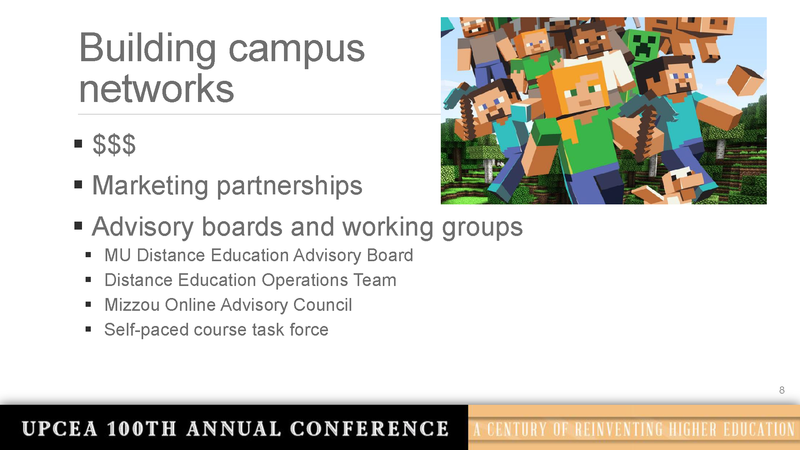 Ways in which Mizzou Online is growing partnerships internally.